This client wanted an updated kitchen with a bold aesthetic. 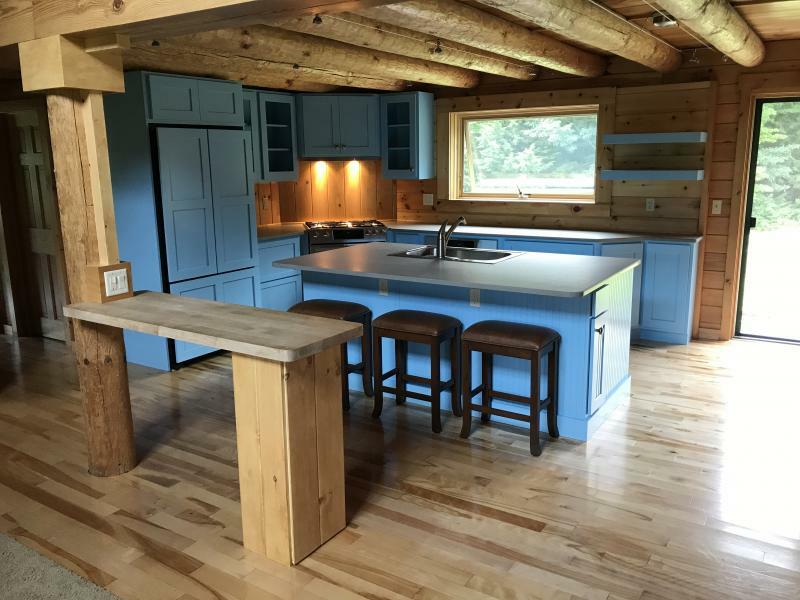 We designed the kitchen layout to be more efficient in the space. The tile was replaced with wood flooring, to match the rest of the home. 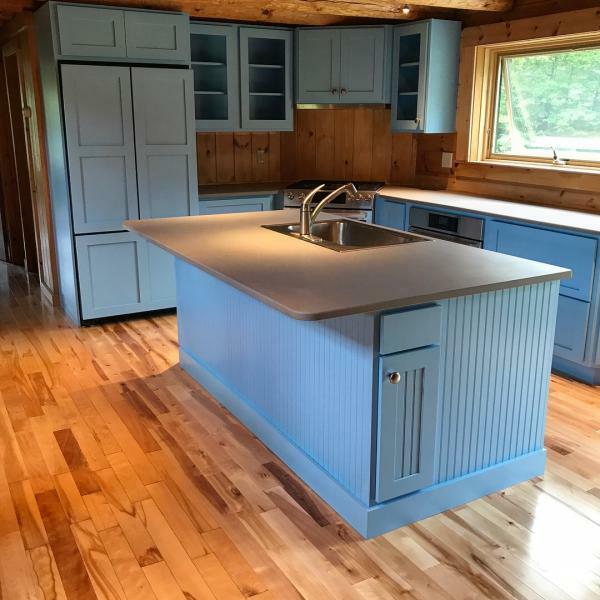 A permanent island was installed, with a sink and stool seating, to replace a portable island. 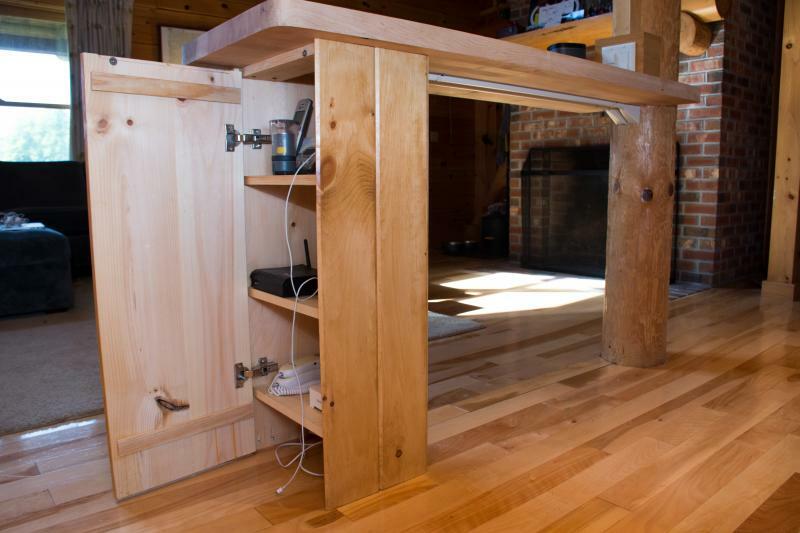 An existing butcher block top was used to create a media center at the edge of the kitchen, to hide phone and internet cables. 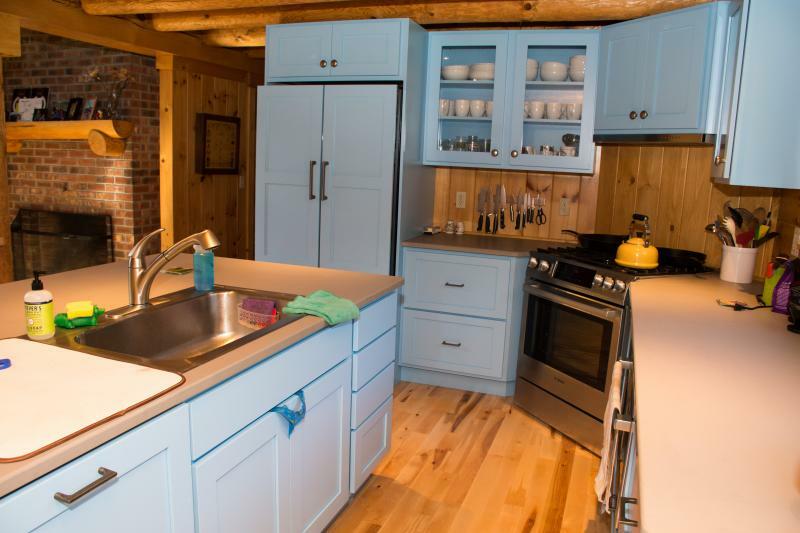 Eggshell blue cabinets were installed to create a cohesive look, and panels were installed on the refrigerator door to match the cabinet doors. To finish the remodel, the kitchen lighting and electrical was updated.